Heeft u een vraag voor Shaw Residenza Suites? Of u nu een toerist bent of een zakelijke reiziger, Shaw Residenza Suites is een uitstekende accommodatie tijdens een bezoek aan Manila. Het hotel ligt slechts 9.2 Km van het stadscentrum: lokale bezienswaardigheden zijn dus snel te bereiken. Dankzij de praktische locatie liggen alle belangrijke trekpleisters in de buurt van het hotel. Het Shaw Residenza Suites biedt een onberispelijke service en alle essentiële voorzieningen om reizigers een plezierig verblijf te bieden. Terwijl u verblijft in deze geweldige accommodatie, geniet u van faciliteiten als gratis wi-fi in alle kamers, 24-uur beveiliging, 24-uur receptie, bagageopslag, wi-fi in openbare ruimtes. Ervaar kamerfaciliteiten van hoge kwaliteit, inclusief plasma tv, internet (draadloos), draadloos internet (gratis), rookvrije kamers, airconditioning, om tot rust te komen na een lange dag. Het hotel biedt fantastische faciliteiten, inclusief fitnesscentrum, sauna, golfbaan (binnen 3 km) , zwembad (buiten), kinderspeeltuin, zodat u kunt onthaasten na een bezige dag in de stad. 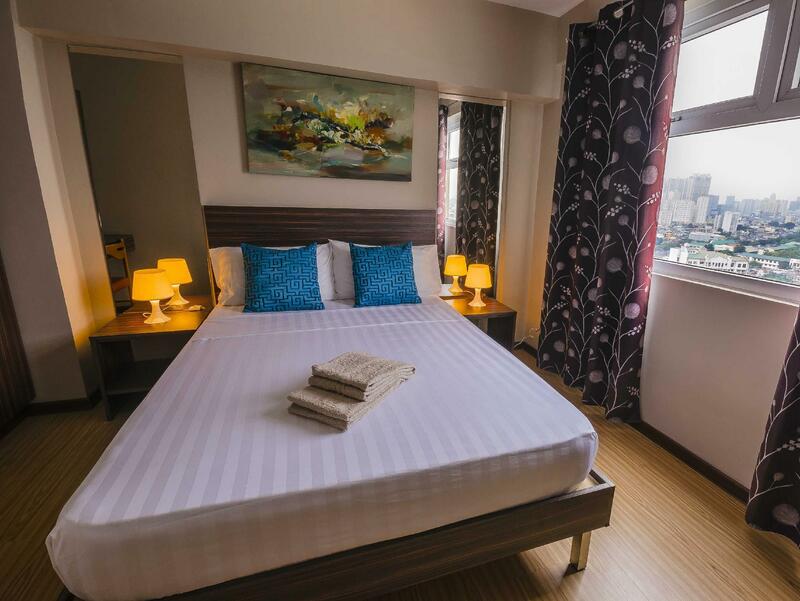 Als u zoekt naar comfort en gemak in Manila, dan is het Shaw Residenza Suites uw thuis ver weg van huis. In deze accommodatie is feesten nadrukkelijk niet toegestaan. Neem a.u.b. rechtstreeks contact met de accommodatie op voor informatie over het toegestane aantal bezoekers en kurkengeld. De accommodatie biedt voor verblijven van minimaal 1 week een inductiekookplaat aan. Deze accommodatie vereist een borgsom van 3,000 PHP, te voldoen tijdens het inchecken. Er kunnen maximaal 5 bezoekers tot 22:00 uur verbljven. Het buitenbad wordt tot 25 april 2019 gerenoveerd. The loft we had was clean and spacious. The shower on the 2nd floor didn't have warm water though. The pool area needs to be a bit more child-proof as the floor was slippery and people have to go up and down the stairs to go to the children's pool and the adult's pool. I had a great stay in here. I thought I would be having an uncomfortable stay because of bad reviews but it's not. Maybe the reason why others had a not so good stay is because they don't know how to follow rules and regulations. The room is okay with primary utensils that you would be needing. Six pairs of plate, spoon and fork, knife, cup, glass. Two pitcher ,two bowls, microwave, refrigerator, electric kettle, can opener, kitchen knife and scissor. No induction cooker for those who would be staying for a night only. They don't have phone for outside call. The aircon is okay. They don't have hot water for shower. I just hope that they had a much bigger and comfortable bedding. I also appreciated that they remembered me for my complaint will h agoda. Firstly, the place was clean, sparse but adequate as a place to sleep/rest after an event or outside activity. Secondly, the price is affordable, though it's not in the bracket of not thinking twice to book the place. Thirdly, location is good enough due to a grocery right in front, but couldn't find a 24/7 convenience store nearby for those late night snacks or coffee. 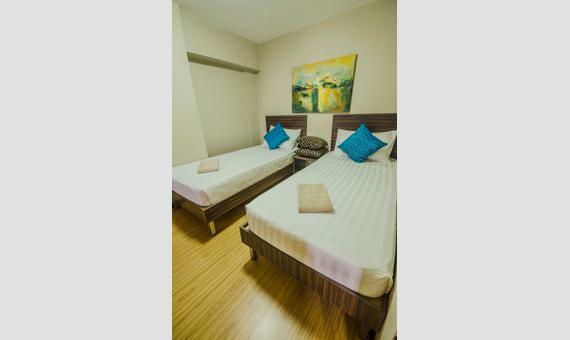 Overall, our stay was well worth it due to the comfort & cleanliness that the rooms provided. Great location. Lots of restaurants, grocery stores, shops nearby- all walking distance. Good value for money as we booked a loft type unit for 4 people. Staff are friendly too. We lost and found our umbrella using their CCTV cameras. We had a great time! I booked the Shaw Residenza suites in the last minutes before our trip. Fortunately, I got the promotional discount, so it was really a worth price. The location is near from SM Megamal, we can walk by. The Building position near the supermarket and local cake shop. The staffs are helpful, the room facilities are good. Despite the Manila's traffic, and if you are having business trip in the center of Metro Manila (Mandaluyong or Pasig area), I recommend you to stay here. Definitely a great stay and value for the money. It was big, spacious and feels like home. It was my second time staying here and we always came somewhere north in Luzon so after anlong trip its a good thing that this place cater to our needs even if its 2 in the morning. 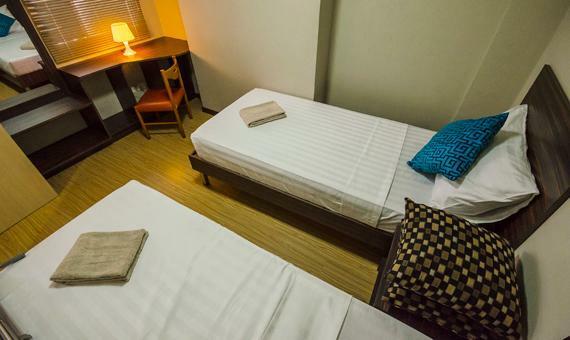 Comfy beds, clean restroom and cool aircon what more can we ask for and all that in a very affordable price. Though they should let us pay extra because we were 5pax and the room was good for 4pax, though 10 people can fit in it withouth a problem. They weren’t considerate enough that we checked in at 2am and will check out at 12nn that same day. Not that customer friendly though. But all in all it was good. some reviews are quite not good but our stay is great!!! Good value for money considering we booked a loft with two bedrooms and a spacious living area. But I would not suggest it for gatherings since they are very strict to visitors unlike the other hotels. They will charge an additional fee if a certain person is not included in the list of guests in the room. There was a smell from the toilet and bath downstairs that is not so strong but noticeable especially in the dining area. Otherwise, the loft is generally clean and tidy. Just walking distance from coffee shops and very near fast food restaurants as well. My friends and I had a good time when we stayed here for a chillin and bonding time. Good place and I like the view. Though we were not able to cook our food inside, we still enjoyed the place. I will book again for a longer staycation. 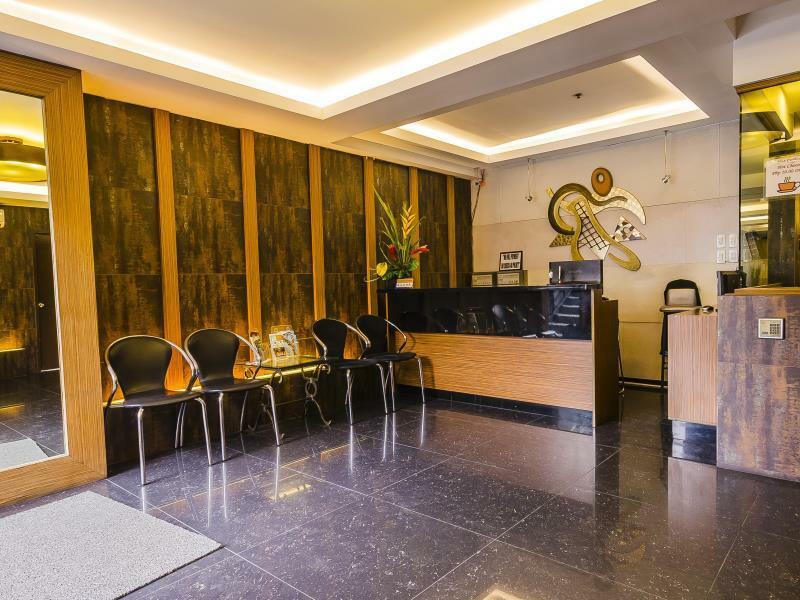 The hotel is ver accesible, in the middle of both Makati and Ortigas. Also it's near the food and shopping malls where you can get ypur daily needs. Or stay was great the room waa spacious and clean. And the staff was all pleasant and helpful. The only issue was that the amenities was not working (sauna) while the pool was also under renovation. our stay is good. we stay at 16s for 3days. our room is good and the facilities is good. my kids love the swimming pool and also the playground. we love our stay. what u see in the pics is what we saw in the hotel. we love our stay here. thumbs up. Enjoyed our stay bec of the big space. Although the pool is small. The aircon in the living room area is not enough to make the place really cool. The tv is in the living room only. Can cook as long as its arranged ahead of time. Worth it to come back. We had a great stay, staff was really nice and attended to all our requests. the Place was really clean and spacious. It would have been perfect though if they had a bigger TV and a wash cloth in the kitchen.